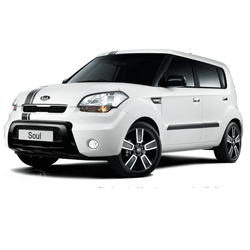 The Kia Soul is a compact car with seating for 5 and lots of space inside. It has Cruse Control and AM/FM/CD and can get up to 26/31 MPGs. 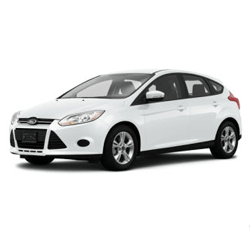 The Ford Focus is a compact sedan. It seats 4 comfortably has has cruse control, bluetooth radio, and gets up to 27 city / 37 highway MPGs.